It's time for another Sweet Sunday Sketch Challenge! I paired the sketch with the You Got This set from The Cat's Pajamas for this encouraging card. I colored the big eared bunny and his feathered friend with Copic markers, then used foam tape to adhere him to a light blue circle. After settling on a fun triangle patterned paper for the angled panel, I found coordinating scraps of cardstock to use for the rest of the sketch's panels. I arranged all of the pieces on a pale gray card base, then stamped the "you really got this" sentiment in the bottom right corner of the cardfront. 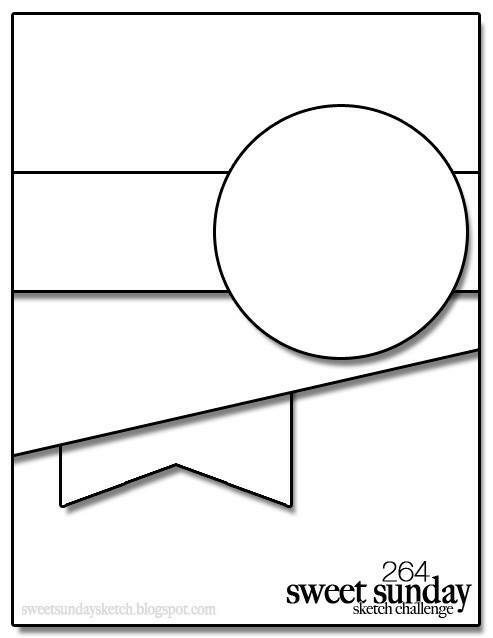 To play along, just create a card based on the sketch and link it up on the SSSC blog. Be sure to stop by the blog to check out what the SSSC team has created using the sketch. And, don't forget to check in on Wednesday to see one of our favorite cards made with the sketch. Great card Lori! Love the colors and patterned paper you used for this sketch! What a FUN card Lori! 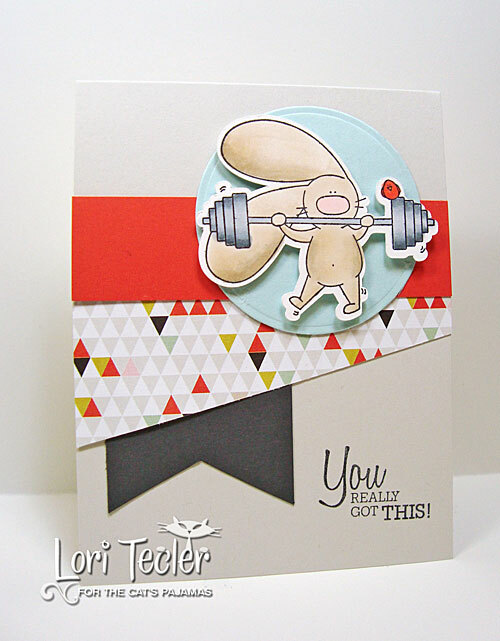 I love this bunny and your paper choices are perfect for this layout! such a fun card. Love the papers you used, Lori!